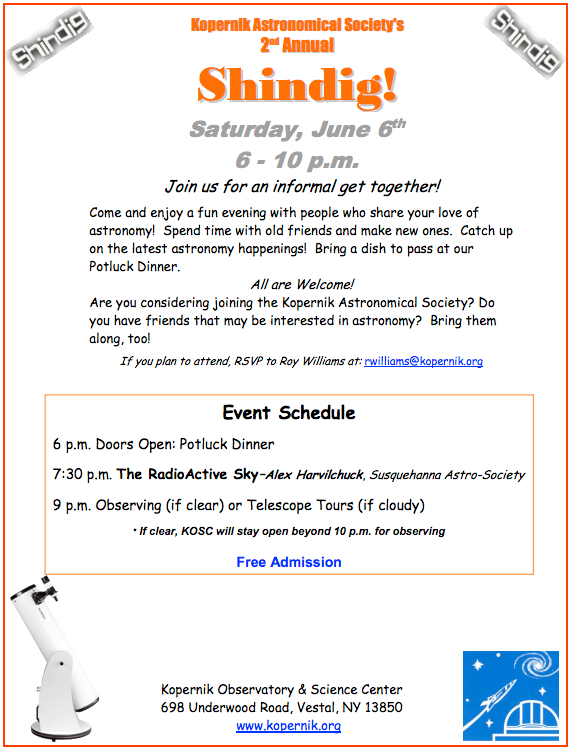 Come and enjoy a fun evening with people who share your love of astronomy! Spend time with old friends and make new ones. Catch up on the latest astronomy happenings! Bring a dish to pass at our Potluck Dinner.